So about three years ago, you started thinking about rail. What was the genesis of this project? We’re adjacent to a rail line so we saw trains going by everyday, we thought about how we could potentially leverage that and started talking to East Penn. East Penn showed some interest in working with us and it took off from there. 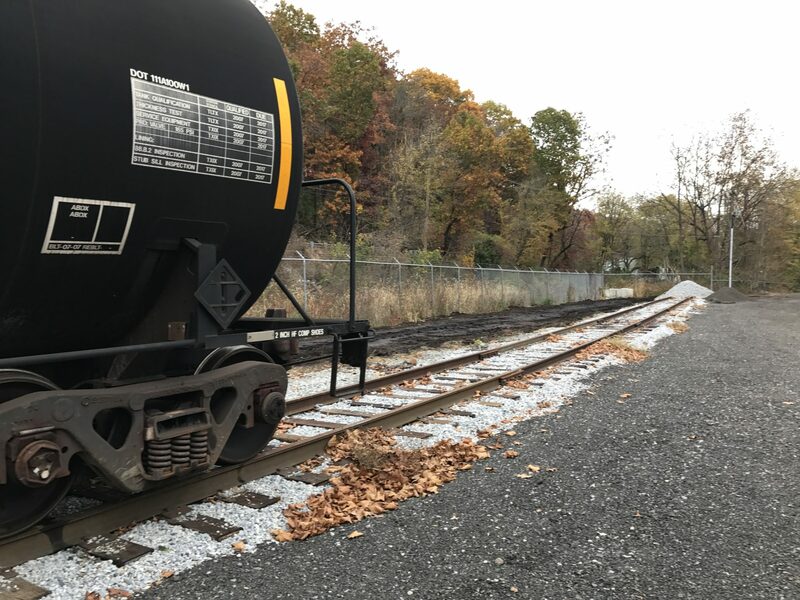 East Penn is a regional rail line that was moving oil for us already from our off-site depots to Hero BX in Erie, Pennsylvania. They go all over the place so we talked to them, the line itself wasn’t a line that they owned so they couldn’t actually help us. 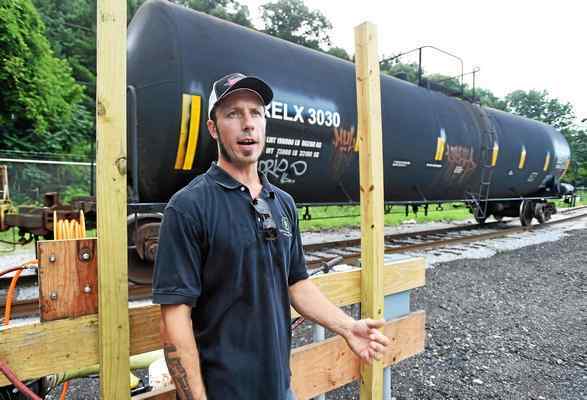 So we reached out to the owners of the line, Brandywine Rail, who’s owned by Arcelor Mittal Steel, formerly Lukens Steel, and we talked to them about setting up a rail spur on that line so that they could service us and that East Penn could service them so we could get our oil directly from our site to Erie, Pennsylvania without having to use trucks. What kind of benefit does that provide, to be able to send it via rail versus an eighteen wheeler? Yes, so there’s a huge economic benefit. It’s much cheaper to ship by rail but there’s an even greater environmental benefit. It’s much cheaper to ship by rail but there’s an even greater environmental benefit. The emissions savings relative to trains is significant. Taking the trucks off the road means you’re not damaging the road anymore, you’re removing the hazard from the road, tractor trailer traffic through neighborhoods and through our community. Then there’s the fact that from a logistics perspective: rail is just much more reliable. With tractor trailers, their routes may be impeded by weather, schedules, routes and drivers — many different things that a train really isn’t affected by. Waste Oil Recyclers has been in business for ten years? Does it allow you to double or, what does it do for your forecast, your business? Initially, like I said, there’s radical increases, savings in shipping costs but the reliability of the train allows us to run faster and harder so that we’re not waiting on tractor trailers to show up. If we have a full shop and we need to ship material and there’s a snow storm, everything would go on hold until we could get more trucking. Exactly. The rail cars are more reliable in that sense and we can ship more and have more storage onsite. The other benefit, you know, we work with a lot of other oil collectors in the region and they have similar issues as we do and now we’re able to be a hub for them. 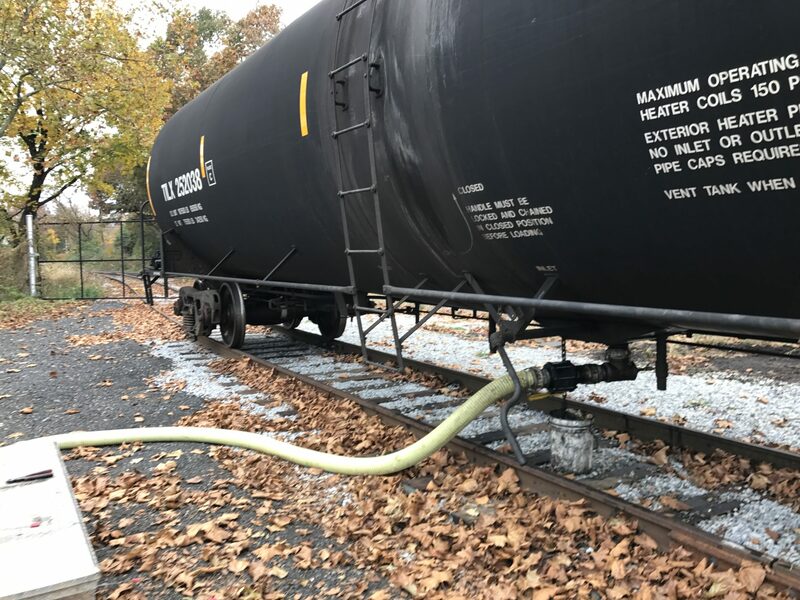 We’re more convenient than some alternative rail yards and shipping facilities in just the nature of us already having a business here that’s doing the cleaning of the product, allows us to bring in more raw material from outside collectors and outside vendors. That was probably the biggest infrastructure investment you ever made? Well, outside of purchasing the property, for sure. That’s a huge capital improvement. 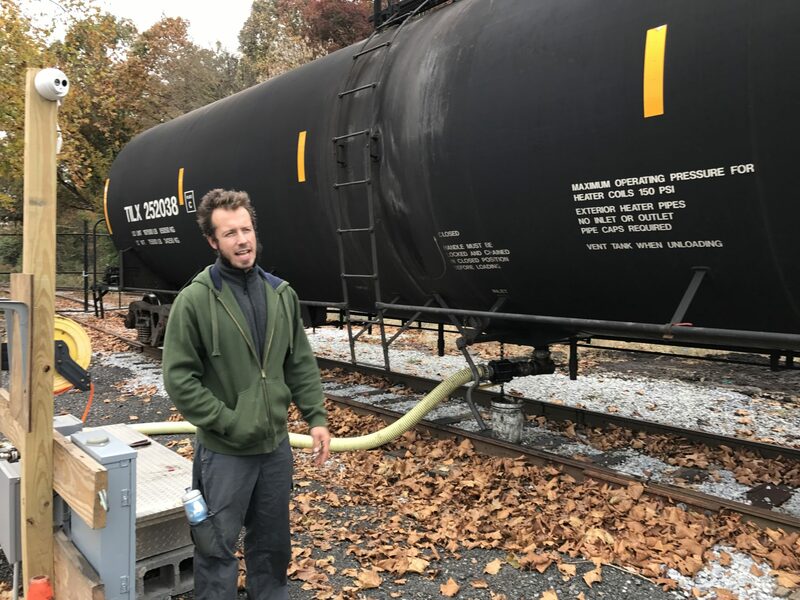 It allows the biodiesel refinery, Hero, up in Erie as well to not have the truck traffic coming in and allows them not to, I wouldn’t say, have as many employees but they don’t necessarily need to run their shipping aspect of things 24/7 at that point. Sometimes they’ll get backed up with trucks that, it’s kind of a never ending flow of tractor trailers when they don’t have that. They have one person off-loading rail cars at four trucks at a time. Is it, one rail car is worth four semis? Wow. You’re not only taking trucks off the road down here but up there and throughout the state. …because Jim and I have been up there and we’ve seen what fifteen trucks just sitting there waiting in line to offload. This isn’t idling and emitting gas while it’s doing that, just sitting there. Perhaps green energy companies are putting an emphasis on rail. Rail will be the resurgence of the American economy if it ever truly happens. Everything was built around rail and you are seeing it becoming more and more a part of things because of fuel costs, because of emissions, because of equipment costs. It is a resurgence in the vitality of Modena. Modena, five hundred and sixty five people, no change in industry until we came here. It is a resurgence in the vitality of Modena. Modena, five hundred and sixty five people, no change in industry until we came here. The paper mill’s been here since the early 1800’s and is why Modena exists, but there have been no additional businesses until we came down here in 2009. We have brought 25 good paying jobs and have helped turn a derelict industrial property into an incubator for new and innovative businesses. Rail just takes that to the next level and will attract even more business. This is just another example of the positive social and economic impact one business can have, especially when they’re are a green business. Modena’s been an economically impoverished community ever since 1980. When the steel industry collapsed and Lukens collapsed, Modena was right behind it. Ever since then there hasn’t been food, there hasn’t been industry and there hasn’t been jobs. We are trying to change that. 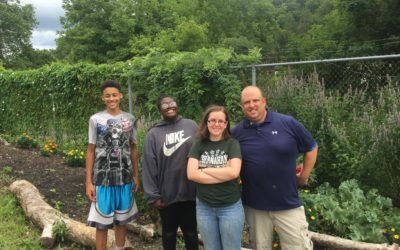 We have a taken the property and not just revitalized it in terms of producing product, but have turned every inch that isn’t being used for our core business into organic gardens raising food to feed the community. 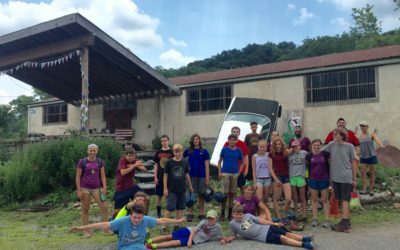 We have a taken the property and not just revitalized it in terms of producing product, but have turned every inch that isn’t being used for our core business into organic gardens raising food to feed the community. We host several educational and music events a year, we have an art show. 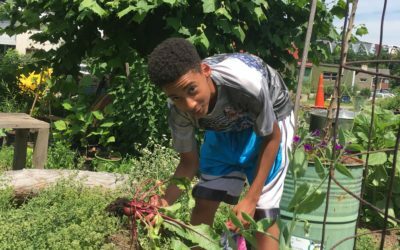 We work with the Coatesville Youth Initiative to help instill a respect for the environment, community and hard work. The little engine that could is a good analogy for all of this. Every step has been uphill and required some serious dedication. Now that we have Modena back on rails it should get a little easier.